Pritesh (Tesh), graduated from the University of Sheffield with a Bachelor of Dental Surgery in 2003 with Honours, following which he joined New Road Dental. A few years later he went on to Birmingham Dental Hospital to work as a Senior House Officer. He worked in several specialties, focusing ionProsthodontics and Periodontology. He is registered with the General Dental Council and completed the prestigious Membership of the Fellowship of Dental Surgeons of the Royal College of Surgeons of England in 2006, following which he returned to New Road Dental. Pritesh is one of the Clinical Directors of New Road Dental and works full time. 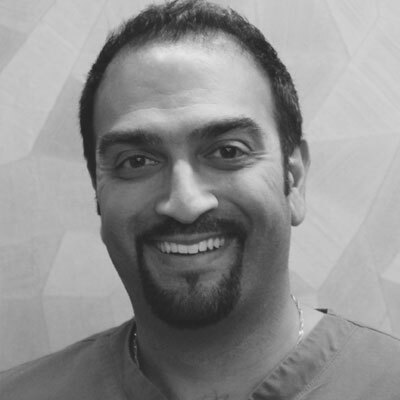 His particular interests are in the fields of Periodontology, Prosthodontics, Endodontics and Cosmetic Dentistry. Pritesh is also an approved Foundation Dentist Trainer with the West Midlands Deanery. This is a prestigious position where he is responsible for the training of newly qualified dentists. In 2013 he successfully completed his Post Graduate Certificate in Medical Education from the University of Wolverhampton. Pritesh is also a proud provider of Invisalign, Fastbraces® Technology, and facial aesthetics treatments.